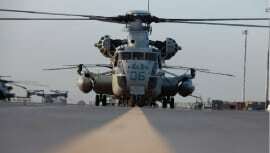 Rotorcraft Report: Program Focus–Who Will Win the Indian Helicopter Contract? 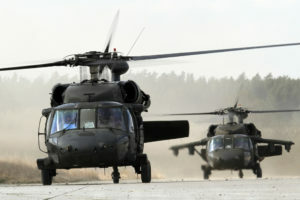 In the latest twist in the ongoing saga of the Indian army’s tender for 197 light utility helicopters, the U.S. government is asking the army to re-open the competition for the $800 million contract. 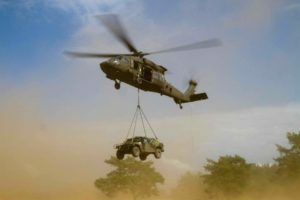 Bell Helicopter said it never heard anything from the Indian army once its proposal was submitted in 2006, but learned through the Indian media that it was not selected because it could not provide a winch capable of lifting heavy cargo. 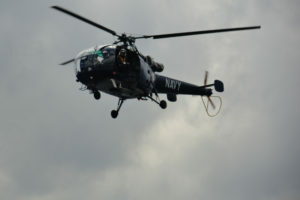 Bell, which proposed its 407 (shown right, during a demonstration in Nepal) for the contract, said it is willing to demonstrate the hoist but again has not heard anything from the Indian army. The U.S. Embassy in New Delhi approached the Indian government questioning the elimination of Bell. Numerous press reports in India have quoted government officials as saying that Eurocopter had been awarded the contract, winning with its AS550C3 Fennec. At the Paris Air Show in June, Eurocopter officials privately confirmed that the company was in negotiations with India on the terms of the contract for the 197 aircraft. Neither party would confirm that publicly ("Indian Army in Final Talks with Eurocopter," July 2007, page 23). India wants to replace its fleet of 1970s-era Hindustan Aeronautics Ltd Chetaks and Cheetahs. Whoever wins the contract would be required to deliver 60 ready-to-fly aircraft, with another 137 to be produced by Hindustan Aeronautics. The winner would be required to invest 30 percent of the contracted cost in India under an offset clause.